I’ve had a great week, it’s seemed to have flown by. I guess that’s because I’m looking forward to my holiday and my birthday; they literally can’t come quick enough. I’ve been busy planning lots of posts to put up while I’m away so you shouldn’t notice too much of a lull in posts while I’m sunning myself on the beach. It hasn’t been all work and no play however as earlier in the week, I went to the VIP opening of Krispy Kreme doughnuts at the Metro Centre as Ray from Who Is She‘s plus one. I ended up with 18 doughnuts, didn’t fancy any and so I took them into work the next day, needless to say I was loved. There’s been lots of reviews and a couple of outfit posts up on the blog this week. Starting with the nail polish I’ve been wearing this week and the one that I reviewed on Monday is Barry M’s Pink Flamingo which is one of those polishes where I wish the formula was as gorgeous as the colour! I’ve also reviewed a couple of body products this week, the Weleda Pomegranate Regenerating Body Lotion which is a gorgeous pomegranate and citrus scented anti ageing treat and the Dirty Works Bling It On! Shimmer Lotion which is a gorgeous shimmery body lotion that perfects the look of your skin. I’m wearing it in one of this weeks outfit posts with my gorgeous black sequin dress from AX Paris. This is one of my favourite dresses in my wardrobe at the moment, it’s a great way to wear a Little Black Dress and will most definitely see me through the party season. Another WhatLauraWore outfit post this week was of a cute coral hitched up dress from Curvissa that I wore on a spa break with my best friend. Whenever I go to spas I always tend to opt for body treatments rather than face treatments as I’m always applying products at home to my face, like the Mudd face masks I reviewed this week, and there’s just something so good about having a full body treatment. On that particular trip I opted for a Swedish back, neck and shoulder massage. I don’t know what was so Swedish about it but it was bloody relaxing! What have you been up to this week? What do you have to look forward to coming up? 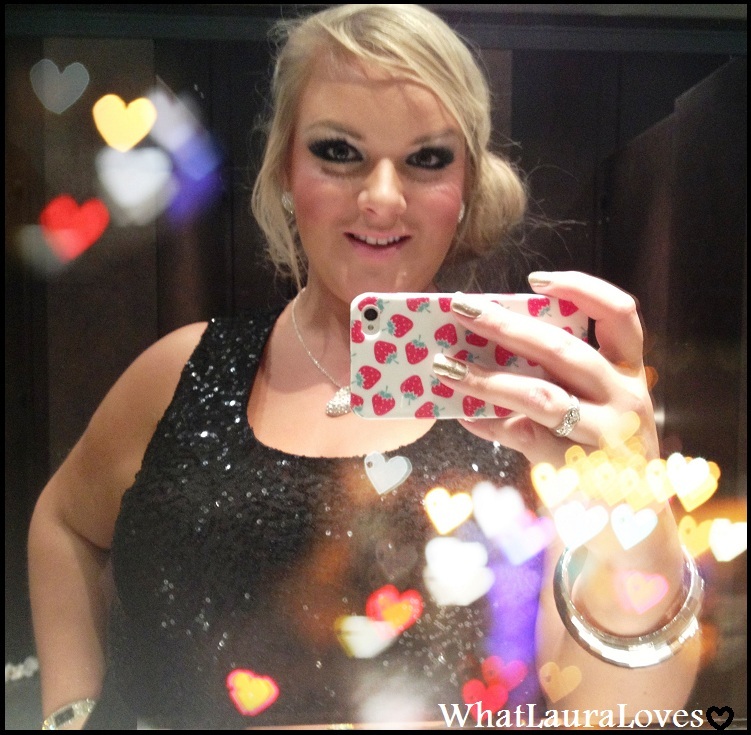 Next Post WhatLauraWore: Yours Clothing? No its mine!